After 10 years working at Maserati in 1947, Ernesto Maserati (engineering manager) and his brothers Ettore and Bindo, left what used to be their family company and set up O.S.C.A. This Italian sports car brand is what Maserati should have become, and its cars were designed in the pursuit of performance. 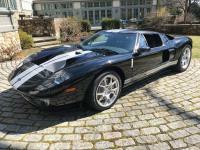 RM Sotheby’s is selling one of O.S.C.A. 's racing creations, a 1955 O.S.C.A MT4-2AD 1350 with past experience on the Mille Miglia, at its Paris sale next year. The first car O.S.C.A ever made was the MT4 (Maserati Tipo 4), built in the San Lazzaro di Savena factory that used to house Maserati. It had a 1092cc engine, capable of 71hp at 6000rpm, had a block derived from a Fiat, alloy heads and bodywork built for a two-seater barchetta, a less than ideal but ultimately successful formula. In 1950, an improved engine layout led to the MT4-2AD, which was capable of 99hp at 6300rpm, and a further upgrade three years later brought it up to 108hp. Each new upgrade brought the cars closer to the front of the field in sportscar racing. Its most frequent driver was Giuseppe Rossi, a winner of the Coppa d'Oro di Siracusa and Caserta Grand Prix, the latter of which he achieved in this car in 1955. In total it competed in 25 events between 1955 and ‘66, winning twice and taking six further podiums. It raced exclusively in Italy, and is eligible for entry to the Mille Miglia in the race’s current form. The car is presented at sale in bright red, with the racing number ‘335’ adorning both sides in white lettering. Stickers from recent historic FIA and Mille Miglia events it has competed in are on display on the windshield, and there are two plush seats in the car for a driver and passenger, or possibly co-driver. RM Sotheby’s Paris sale is taking place on February 6 next year at the Place Vauban in the city. 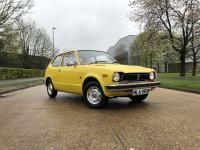 For updates on the car and an estimated sale price, visit the auctioneer’s website. CITROEN HY VAN 1952 SPLIT SCREEN MODEL. BODILY RESTORED TO A HIGH STANDARD. FITTED WITH TWIN SERVING HATCHES. FITTED WITH SERVING CABINETS, WINE COOLER, 240V HOOK UP, FRIDGE, DOWN LIGHTS, OPTICS FOR SPIRITS, SOCKETS, LED CEILING LIGHTS ECT............ MOT EXEMPT DUE TO AGE. RUNS AND DRIVES BUT NEEDS SERVICING AND A TUNE UP. IDEAL PROMOTIONAL TOOL. 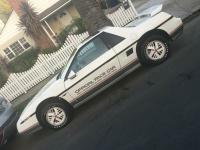 CAN EASILY BE MODIFIED FOR COFFEE OR PIZZA..
Is GM’s Italian Fiero Sized Disaster Turning Into A True Classic? Driven: Is The Honda Civic Genesis Of Modern Reliability?